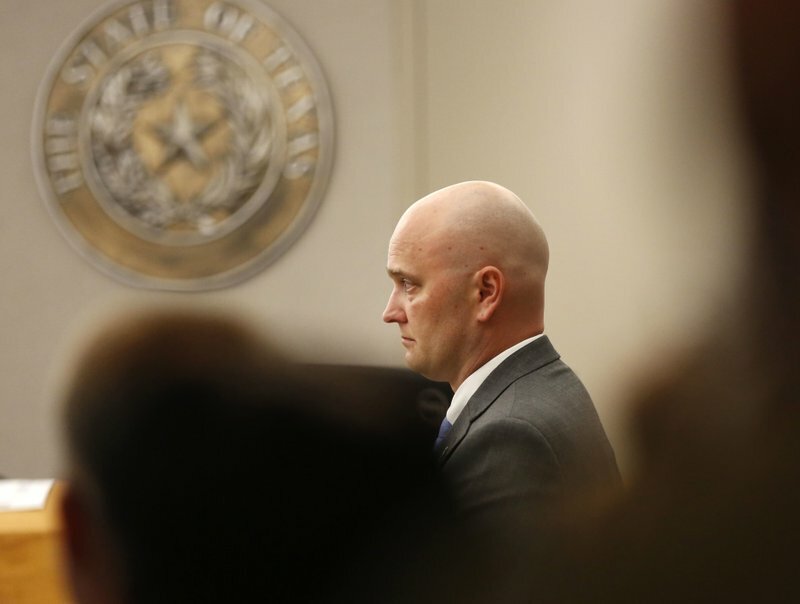 DALLAS (AP) — A white former Texas police officer was found guilty of murder on Tuesday for fatally shooting an unarmed Black teenager last year as the boy left a house party in a car full of teenagers. Roy Oliver was fired from the Balch Springs Police Department days after the April 2017 shooting. Oliver killed 15-year-old Jordan Edwards after the then-officer fired into a moving car carrying five Black teenagers leaving a local house party. Edwards was in the front passenger seat. Oliver testified during the Dallas County trial that he opened fire after seeing the car move toward his partner. He says he thought his partner was in danger. But his partner told jurors he didn’t fear for his life and never felt the need to fire his weapon. The shooting launched the Dallas suburb of Balch Springs into a national conversation on issues of law enforcement and race. Experts said ahead of the trial that securing convictions against an officer was challenging, in part because criminal culpability in on-duty shootings is subjective and jurors are more inclined to believe police testimony.